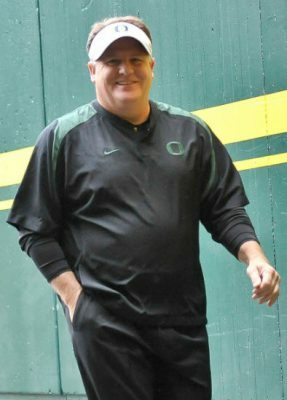 We believe that a major factor in this game’s victory was the unique game plan assembled by Chip Kelly, and because it was so vast we cannot cover it all in one report. We will study the biggest undetected aspect first, and then savor the rest in upcoming analysis articles! 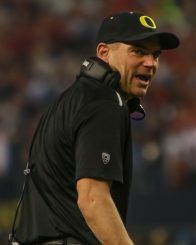 No play calls are more scrutinized than those made on 4th down and this subject provides an interesting study for students of the Oregon Offense. A great example of Oregon’s use of this philosophy is a 4th and short this past season at Southern Cal. 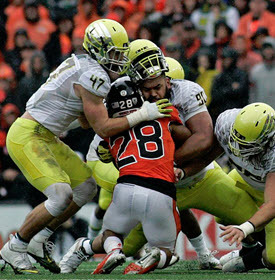 Our film study reveals how Oregon uses a series of two-play sequences to create defensive busts, keep a defense locked in a bad alignment, and set up play action passes. This article will analyze how Oregon combines no-huddle tempo with packaged run/pass plays and unbalanced formations to “drown” a defense. A MUST for all. These “packaged run/pass plays” (with the ability to end up as either a run or pass based on the defensive look), were already on the rise in college football. In the NFL, these packaged plays help Kelly attack defenses in a way that was both similar to his Oregon days and new to the defenses he faced. This article will analyze the development of run/pass plays with the Eagles this season and show how Chip packaged his staple plays into explosive ones. 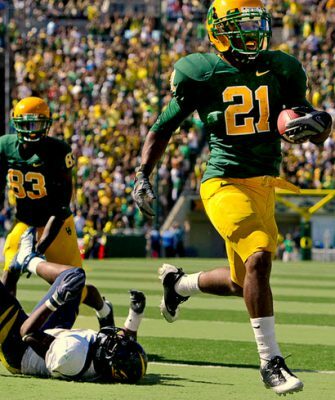 Oregon’s match-up with Southern Cal in 2010 was hyped up to be the Trojan’s return to the nation’s elite. The game did not disappoint, as Oregon traded blows with the Trojans until late in the second half. 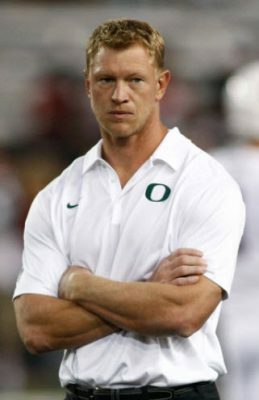 In this FishDuck minute, we’d like to show some great examples of constraint plays used by Coach Kelly in the 2010 USC-Oregon game, and showcase some in game adjustments made by the Duck offense. 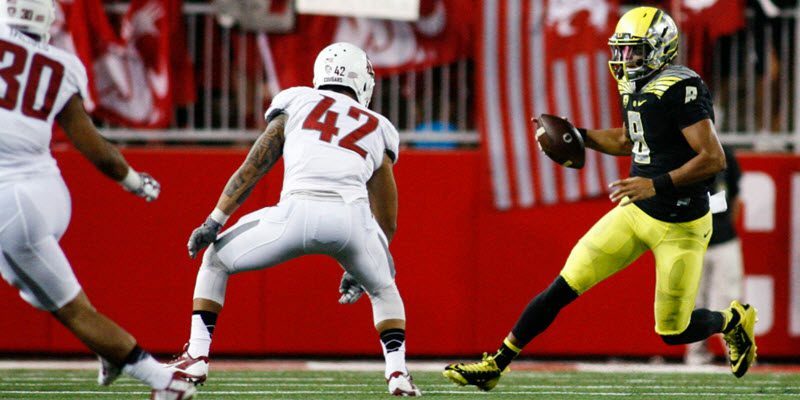 Analysts love to dissect Oregon’s many packaged schemes and option runs, offensive plays designed to take advantage of whatever the defense throws at them, with an answer for just about anything and everything. There is, however, another part of any offense that is just as crucial, sometimes referred to as constraint plays. Constraint plays force a defense to hesitate, to think a little bit longer about what it is they think they’re seeing, and punishes them for laziness and being unprepared.